Summer weather can mean roofing issues, know what to look for! Most homeowners believe that once winter, fall and spring have passed their roofing worries have as well. Thats not entirely the case however, summer rains mixed with high temperatures can cause roofing problems and when not taken care of they will only become worse once winter and rainy seasons approach. During these hot and wet summer days ventilation is a key component. During the summer, excess heat will build up in your attic which in turn causes high energy costs in order to cool your home. Along with this homeowners need to worry about moisture build up that is produced in the home and may move into the attic if ceiling barriers are not being used. If that moisture that is being trapped in your attic is not released it may cause insulation and construction damage. Key areas to inspect and maintain. 1. Inspect your roof with a complete walk-around from the ground, looking for shingle lift, missing shingles, cracked or dented shingles, moss or any other type of fungal growth, debris that has gathered in corners or roof valleys and roof damage of any kind. 2. Inspect the flashing (metal strips) around the chimney, skylight, vents, satellite dish, or any other roof protrusion. Flashing often loosens during harsh weather or can deteriorate over time. 3. Check the underside of eaves for debris that may have gathered and remove it. Be careful since this is a favorite spot for stinging insects to build nests. 4. Check for loose gutters. It’s common for storms to loosen them. Tighten all bolts, making certain the gutters are properly angled and aligned to divert water away from the house. 5. Clean out gutters, downspouts and roof drains. You’ll be surprised at the amount of flower blossoms, twigs, seeds and other debris that gathers in them during the spring. After cleaning the gutters, test them by running water through them using a garden hose. If the water flows freely through them with no leaks, you’re good to go. Why is summer roof maintenance important? Because summer brings with it high temperatures, rain, humidity, and sometimes heavy winds and thunderstorms it is vital to inspect and maintain your roof regularly. By doing this you can deter serious problems from happening as well as ensure the quality and life of your roof, which in turn can save you money. 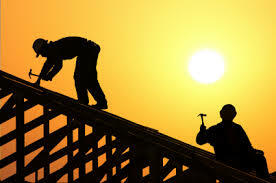 If you come across any roofing issues during your summer maintenance and are in the Puget Sound region of Washington State contact Chase Construction North West, Inc. today. We are Master™ certified contractor through GAF. We have been providing our region with expert commercial and residential roofing services for over 13 years. We provide services in Seattle, Tacoma, Federal Way, Renton, Auburn and all of the surrounding cities. Fill out our free estimate form or call us today at 253-445-8950. Prev What Is EPDM Roofing? It is interesting that you need to inspect certain areas of your roof. It is good for me to know as a new homeowner to look at the flashing around my chimney. That wouldn’t have been something I would have thought about. I just bought my first home, and I want to know what type of things I should do take care of my roof. I liked what you said about how I should get some inspections done often. That is a good thing for me to know because I wouldn’t have thought about getting inspections.